Since 1990 Lions worldwide have transferred over 415 mil USD to save and protect sight. 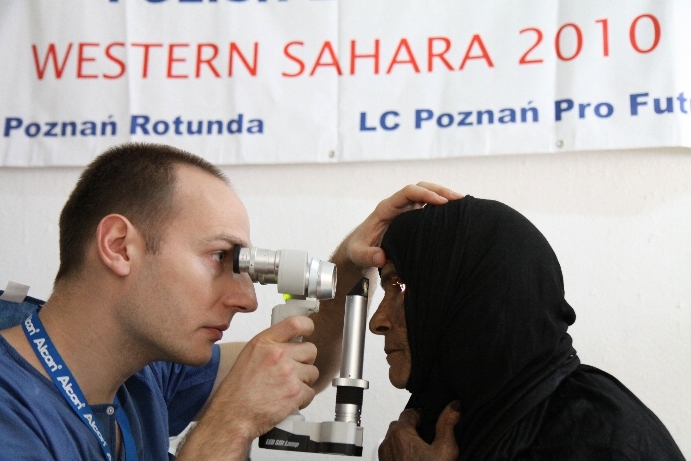 Thanks to the money 8 mil cataract surgeries were performed, over 120 mil kids were examined, 15 mil kids received spectacles, 315 eye clinics were founded, hundreds of medical centers were remodeled and equipped in modern medical and rehabilitation equipment, over 300 thou. Special Olympics participants from 85 countries had eye screen tests. Since 2011 41 mil kids in Africa were vaccinated against measles. Lions Quest – „the art of adolescence”: over 500 thou. teachers and counselors who teach over 12 mil kids in 80 countries were trained. The program has been working successfully since 1984. LEO - Clubs for young volunteers (12 – 30 years of age) over 150 thou. girls and boys in 140 countries. The program has been working since 1957. The International Youth Exchange and Youth Camps: every year around 4 thou. young people take part in 100 camps organized in 39 countries worldwide. Peace poster contest: for the last 20 years 4 mil children from 100 countries participated. Scholarships for talented kids and youth. Clothes, food, and books collections. Feeding, medical care, rehabilitation equipment, illiteracy prevention. Supporting orphanages, hospices, homes for elderly citizens, lonely, and handicapped people. Building homes for poor disabled citizens for the program "Habitat for Humanity" (over 1,000 houses with such apartments were constructed). In hundreds of African villages wells were dug, drinking water installations were construction and water treatment equipment was supplied (in Mali and Ghana, among others). 2011 and 2012 the Lions planted 15 mil trees all worldwide. Since 2003 the Lions have supported the victims of catastrophes, including floods and other natural events, all over the world with a donation worth 100 mil USD (including 21 mil USD for after the earthquake in Japan, 15 mil USD after the tsunami in South Asia, 6 mil USD after the earthquake on Haiti, 5 mil USD after the Katrina hurricane, 3 mil USD after the earthquake in China). The funds helped deliver water, medicine, food and clothes to the victims and helped them realize long term rebuilding programs. The Clubs are supported in their projects by The LCIF. Since 1968 it has granted donations and grants worth over 827 mil USD.